If you’re using Geforce GTX 1050 graphics card, and found your resolution is poor or PC performance is slow, you’re not alone. Many Windows users have reported this issue. You can try to update the driver to fix the issue. 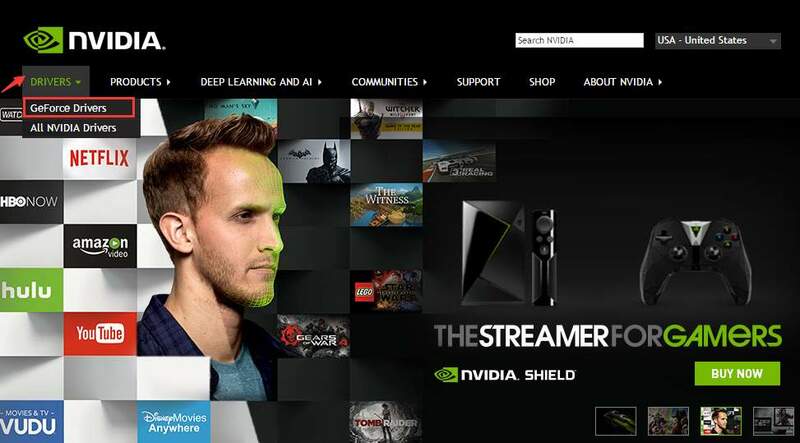 1) Go to NVIDIA official website. 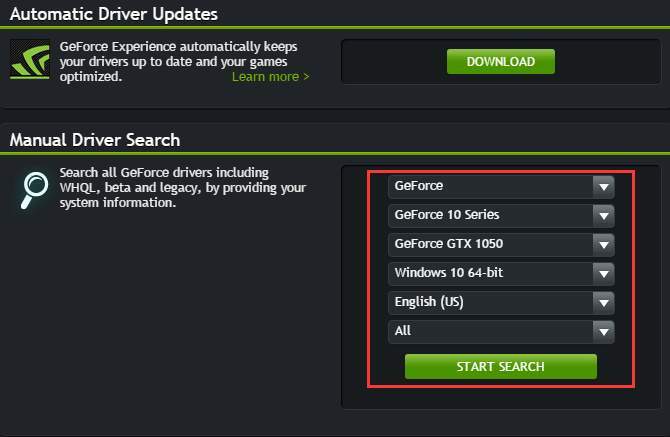 2) Click Drivers then select GeForce Drivers from the drop-down menu. 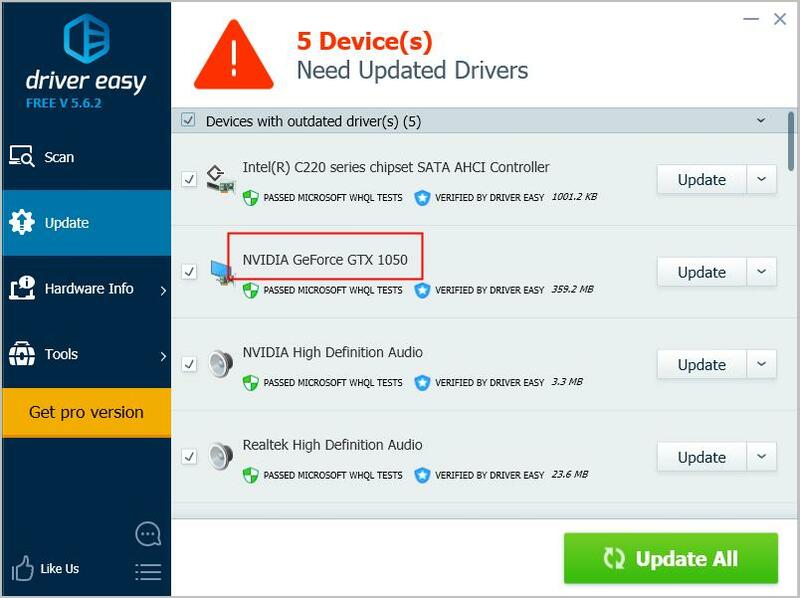 3) In Manual Driver Search section, select the product series (GeForce 10 Series), the Product name (Geforce GTX 1050), and the operating system version. Then click START SEARCH. 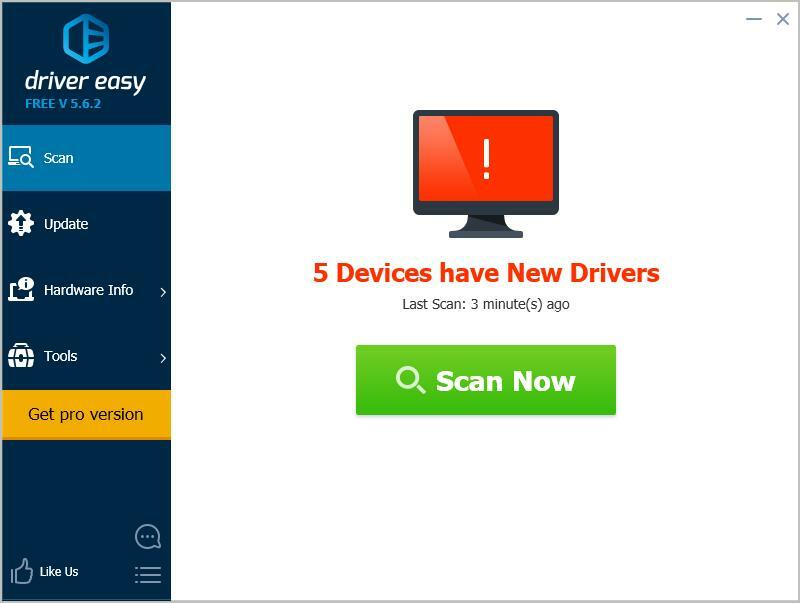 5) Follow the on-screen instructions to download the driver. 6) Once the download completes, double-click on the downloaded installation file and follow the on-screen instruction to install the driver. 7) After installing the driver, reboot your computer and check to see if the issue you have resolves. 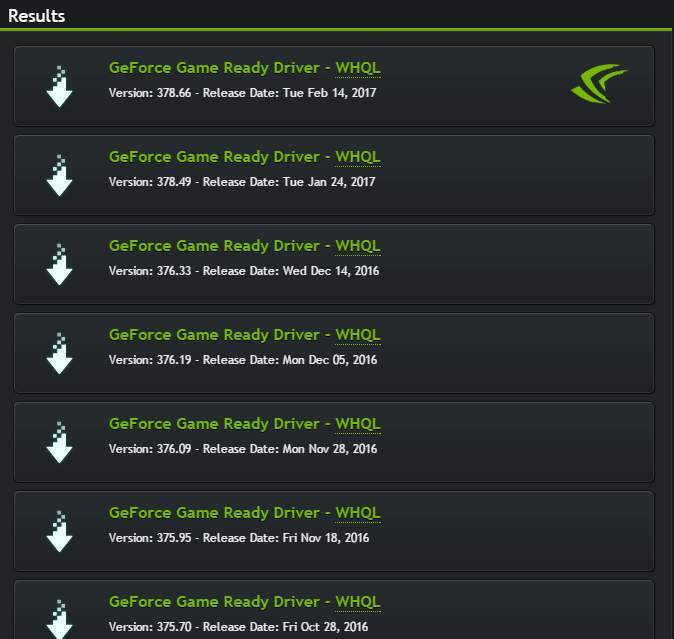 3) Click the Update button next to a flagged GTX 1050 driver to automatically download and install the correct version of this driver (you can do this with the FREE version). 4) After updating the driver, check to see if the issue you have resolves. If you have any questions, please feel free to leave your comments. I’d love to hear of any ideas or suggestions.